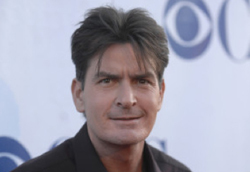 Sirius XM announced Friday that it is set to launch a radio station devoted entirely to Charlie Sheen. The station, called “Tiger Blood Radio,” will broadcast for one day, from Saturday to Sunday, and will be devoted to “breaking news, facts, fallout and career implications of the Charlie Sheen controversy,” the satellite radio company said in an announcement. The station will examine just about every angle of the Sheen situation, from the cultural to the medical. It will run from March 5 at 6 A.M. until March 6 at 6 A.M.
“Tiger blood” is, of course, what Sheen has claimed to have in his veins–just one of the many things that has made him the extra-winning figure that he has become.